There are some lawyer memberships that are elite and invitation only – reserved for the top lawyers in the United States. 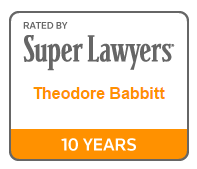 For example, personal injury attorney Theodore (Ted) Babbitt is part of the Inner Circle of Advocates, an invitation-only group limited to 100 top plaintiffs’ lawyers in the United States. He’s also part of the International Academy of Trial Lawyers, a group of just 500 of the world’s preeminent trial lawyers. And is a member of The American College of Trial Lawyers, one of the field’s most prestigious and selective associations. Asking what memberships a personal injury lawyer participates in is a powerful way to see their involvement within the legal profession. What awards have you earned? Awards are given to commend and recognize outstanding work. Ask what awards they have earned and what it takes to get those specific awards. You want a Florida personal injury lawyer who is respected and recognized for his work in the legal profession. Some personal injury law firms post their success record online, others you have to ask for it. No matter how you get the facts, be sure to get them! 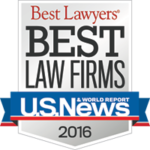 Does the lawyer or law firm have a success record in dealing with personal injury cases? Make sure you know this information before choosing them as your personal injury lawyer. You can view Ted’s success record here. Ted along his partner at Babbitt and Johnson P.A., Joe Johnson (a respected personal injury lawyer), personally handle each case. Some law firms hand their cases down to junior lawyers who often aren’t experienced enough to handle tough opponents such as insurance companies – Ted does not. Florida Injury Lawyer Ted Babbitt and his firm Babbitt and Johnson PA offer a free consultation to review your case. You can contact Ted directly at (561) 684-2500 or you can contact him online here. He will investigate your situation, and let you know whether you have a viable personal injury case.